Founded in 1990, GEOCONCEPT Group is a company specializing in the design and implementation of cartographic optimization technologies for professional use. With its own proprietary Geographical Information System (GIS), the GEOCONCEPT Group now ranks among the world leaders in cartographical information and optimization applications for corporations and public organizations. Always at the cutting-edge, the GEOCONCEPT Group is the only “designer” of innovative solutions aiming to transform companies’ and organizations’ efficiency. By combining geographical information with optimization tools, the GEOCONCEPT Group invented "geo-optimization"; optimizing activities by intelligently integrating geographical information with systems. Our geographical optimization applications apply to areas as diverse as geomarketing, territory management, crisis management and mobile workforce management. The GEOCONCEPT Group employs more than 120 people. Today, the GEOCONCEPT Group has more than 1,500 active clients spanning 35 countries and six continents and more than 160 000 optimised resources. 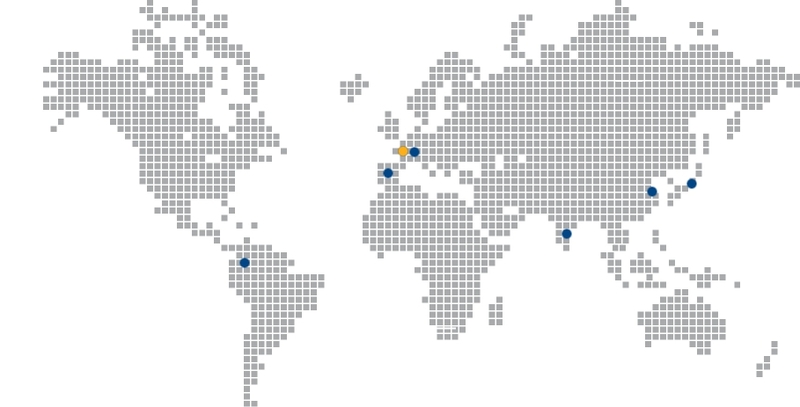 The GEOCONCEPT Group has locations in Paris, Grenoble and Caen as well as foreign subsidiaries: Chennai (India), Geneva (Switzerland), Madrid (Spain), Shanghai (China), Bogota (Columbia), Miami (USA) and Tokyo (Japan). The company has been building a worldwide presence for more than ten years, and our solutions are available in 7 languages. Our data and solutions are sold around the world directly by our subsidiaries as well as by our network of more than 30 partners worldwide. Founded in 1990, the company offers a comprehensive suite of products tailored to business needs. In 2012, GEOCONCEPT acquired the scheduling software publisher Opti-Time, making it the leader in geographical and mobility optimization.